We’ve only got about a week to go until the first major tournament of the year with Team Up at the Oceania International Championship, and only about two until most of us get to dig into the new format in Collinsville! Prior to the release of Team Up, the Standard format was nothing if not diverse, and that deck choice diversity appears to be continuing. Team Up has brought us quite a few new archetypes, and has a chance to be one of the most impactful sets in recent memory. Nearly all of the new Tag Team GX cards appear to be viable, and there are quite a few non-GX options in the set as well! In addition to the new archetypes, Team Up contains quite a few Trainer and tech Pokemon cards that can improve our existing decks. Erika's Hospitality is a card which I believe should be included in nearly every deck, and Bill's Analysis gives another Supporter option for decks with a high variety of Trainer cards (Items in particular). Wondrous Labyrinth Prism Star is an excellent inclusion in any disruption deck. Viridian Forest is a great new way to both search out and discard Energy. I haven’t even mentioned Jirachi yet! All in all, Team Up provides plenty of new cards for everyone, regardless of their ideal playstyle. Consequentially, we will necessarily have to reevaluate our idea of what decks are Tier 1, Tier 2, and so on; with every deck changing in one way or another, and with so many new potential options, what was good before may not end up remaining good when all is said and done. For this article, I’ll be focusing on a new deck that has clearly stood out in my testing, the deck that will almost certainly be in my hands at Collinsville Regionals: Zapdos / Jirachi / Jolteon-GX . It’s rather uncommon that I consider a deck to be “the play” this early on; normally, I let that decision process continue up until closer to the event date as I try out different things, especially when we have a set with as many options as Team Up. With this deck, however, it has shown enough promise that I find it difficult to believe that something better will come along. The deck’s matchup spread is incredible, it has a ton of strategic versatility, it is wonderfully consistent, and on top of all of that, it’s fun to play! 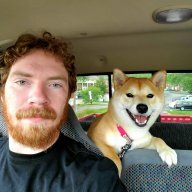 Read ahead, and I’ll have for you my current list, tech options, matchup strategies, and what to look for in the OCIC results! 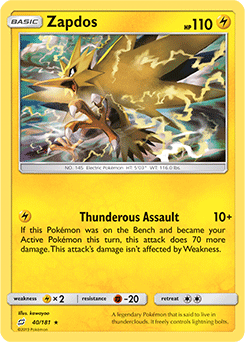 When I initially delved into the Team Up format, Zapdos was an archetype that I found easy to overlook. It didn’t have the flashy explosiveness of decks like Pikachu and Zekrom-GX or new builds of Rayquaza-GX, nor was it finding a ton of success in Japanese tournaments. While it did have plenty of success in those Japanese events prior to the release of Tag Team GXs (most notably Champions League Niigata), it appeared to have been all but pushed out of the meta as Pikachu & Zekrom, Zoroark-GX / Lycanroc-GX, and Malamar / Ultra Necrozma-GX decks dominated instead. It was new, but frankly, other new stuff appeared to be more interesting! My initial testing focused on those three decks, as well as Vikavolt / Rayquaza-GX, which seems to be well positioned if Tag Team GXs begin to dominate the metagame. I have no doubt that those decks are all solid; Pikachu & Zekrom’s speed and damage output is absurd, to the point where it can win games as early as the second turn, while the other three are well rounded, with enough advantages into Pikachu & Zekrom to be in a strong position if Pikachu & Zekrom does end up being the most played deck going forward as it was in Japan. After building Zapdos to test against, however, it quickly became apparent that I needed to add yet another deck to my list at Tier 1! As I refined the list further, its matchup spread became even stronger, even as the lists of the other archetypes improved and changed as well. Zapdos / Jirachi / Jolteon-GX is a deck with rather few bad matchups, and an incredible amount of favorable ones, including against Pikachu & Zekrom-GX, Rayquaza-GX, Blacephalon-GX, Zoroark-GX, Lost March, and Buzzwole-GX! With all of that upside, Zapdos has jumped to my top deck choice, not just from the new Team Up decks, but of all decks in Standard.